At Kitchen Emporium we pride ourselves on providing excellent customer service. From start to finish we are always here for our customers to answer any questions or to help eliminate any concerns. Below you will find some feedback from some of our happy customers. If you would like to leave a testimonial please scroll down the page and complete the form, all testimonials are greatly appreciated. This is the first new kitchen we have ever had. After looking at a few suppliers we had a look here and liked what we saw. From planning to completion every thing was well organised and went like clockwork. the trades men used were all very professional and friendly. The finished kitchen exceeded our expectations and is brilliant to use . Thank you Kitchen Emporium Wigan for my lovely new kitchen. K E weren’t my first choice but I went to them after being let down by another kitchen firm. It was meant to be. From start to finish Ian and his team were great and did everything they said they would. Even the tradesmen, plasterers, electricians, fitter, turned up at the time they said they would and all worked really hard. Any questions or concerns I had were dealt with quickly and professionally and Ian’s team took the time to explain anything I didn’t understand. And my new kitchen is lovely. It was money well spent. I’m so glad we went with K E Wigan. 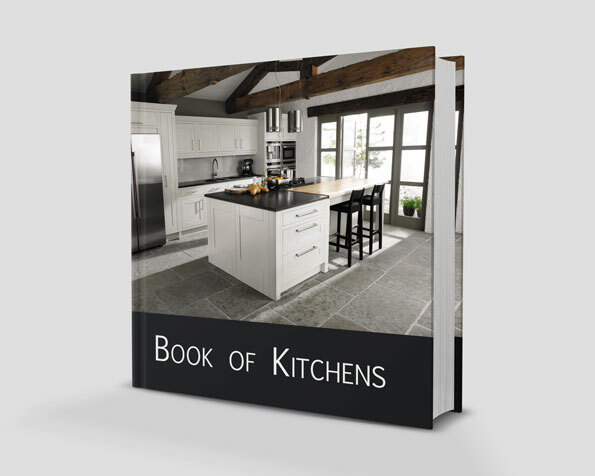 With so many firms of kitchen fitters now available, making an informed choice can be something of a lottery – how glad we are however to have chosen Kitchen Emporium Wigan. We are now in possession of a room to be truly proud of as all has gone entirely according to plan. 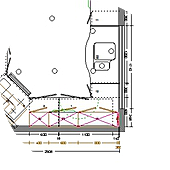 Our space is ‘compact’ but from the planning stage onward we were made fully aware of just how we might optimise the available room to best effect. Keen to have all aspects of the work project managed, we found each tradesman to be accomplished, professional, receptive to our needs, and above all, approachable. Upon completion, we experienced a minor problem with a Neff appliance and whilst this was not the fault of Kitchen Emporium, they immediately liaised with the manufacturer and the issue was remedied within 24 hours following a visit from an engineer. In short then, first class service from an organisation that knows how to treat its clients – i.e. fairly and efficiently. Are there cheaper systems available elsewhere? Undoubtedly. Will these be of comparable quality? I very much doubt it! I chose Kitchen Emporium because they offered a complete service. I was not disappointed. The fitters were very friendly and did a great job. I have had my kitchen refitted by the most professional friendly team of people and the result is amazing. Thank you all so much. I now smile every time I go in there and I would not hesitate to recommend you on. We would like to thank you all at Kitchen Emporium for the excellent way You carried out the installation of our new kitchen. Everything went according to plan and on the time schedule as agreed. We are very pleased with the result and we would have no hesitation in recommending you to any one else who is considering replacing their kitchen. We thought we knew what we wanted in our new kitchen until Kitchen Emporium turned up and designed something that was 10 times better. The design was done at our house, with the designer spending a full 3 hours designing and costing the job. By the time he left, we knew exactly what we were getting and how much it would cost. We had a wall taken out and a complete new kitchen installed. We were kept fully informed of the planned schedule of works and everybody turned up when we were told they would. All the different trades people were efficient and planned with us issues such as where electric points were to be sited. Our fitter, in particular, did a great job and we are extremely pleased with the finished product. My wife and I had in mind an ideal kitchen which would be tailored to our specific needs and compliment the rest of our home. The project was seen through,on time,and with great attention to detail at all stages. Design options were made at the planning stage which allowed us to select what was right for us and incorporate the ‘must have’ features that we had decided upon. At all stages of the installation a ‘can do’ attitude was shown,which is a change from the usual approaches. This approach resulted in the realisation of our dream kitchen which is a credit to the Kitchen Emporium Team. We looked around at many Kitchen suppliers acroos a wide price range. We came upon Kitchen Emporium who had a good selection of their products at their showroom and were very knowledgeable in both product & Design. They designed a totally different kitchen than we had previously, they organised and co-ordinated all the works fitting in with our availability etc. The fitter was excellent and did a fantastic job, consulting and checking with us throught.we are absolutly delighted with the finished product, which is also working very well. We recently approached Kitchen Emporium to design and fit some additional units elsewhere in the house as they also provide office & bedroom furniture which is also of a very high standard, again we have not been dissapointed. We now have a unique and fully bespoke kitchen, along with additional furniture, which was built to our specification . They may not be the cheapest company but their attention to detail and the quality of service and product is second to none. My old kitchen was dark and dismal and falling apart with very little storage space. My utility room was even worse. Kitchen Emporium came and measured up , listened to what I wanted and made really useful suggestions. The result : an amazing transformation with two high quality rooms that have completely transformed my home. I am delighted. There is a wealth of storage space. My kitchen looks huge, uncluttered and stream lined. Everyone involved was friendly and helpful and their after sales service is polite and very efficient I would definitely recommend them. We had our complete kitchen replaced, floor re-tiled, walls and ceiling re-plastered, new units and white goods throughout. The job went like clockwork according to the schedule and Kitchen Emporiums Plan, it was completed from rip-out to final snagging in two weeks as promised. Kitchen Emporium’s tiler gave us a fantastic supplier to chose our tiles from, who gave us a discount. Kitchen Emporium’s electrician gave us a very competitive quote for a replacement consumer unit, as our existing needed upgrading, rewiring the kitchen completely with many new socket locations and LED overhead lighting and under cupboard lighting. First team in after the rip-out were the plasterers, father and son plus helper, they left the walls and ceiling as smooth as a baby’s bottom. An excellent team. Second was the tiler and his mate, well they made the job look so simple, and suggested a different layout of the tiles which we’re glad of now. Another excellent team. Third in was the electrician and his mate to do their first fix, he was always making sure they were putting everything were we wanted it. Next was the real craftsman and his helper, the man who fitted all the kitchen units, and when we say craftsman we mean it, I don’t believe a better one exists anywhere. He was meticulous in every detail. Excellent ++ team. Then finally the electrician was back to connect all the appliances, put on all wall sockets and light switches, along with the ceiling lights and under cabinet lighting. Once again an excellent team. We are over the moon with our finished kitchen, the layout is so much better than our previous one. Well done Kitchen Emporium, you are a stand-out company with Quality at the heart of your business. There’s one word to define Kitchen Emporium,”BESPOKE” Everything is tailor made to your own specifications and using class materials and obviously craftsmen making the furniture.Everything fits perfectly and if it didn’t they would alter it so that it did.Every member of staff were very pleasant,respectful and nothing was too much trouble. Thank you for an excellent piece of workmanship. Unfortunately I have to spoil it now by cooking in it and letting other people in it. I accept to having Kitchen Emporium collect my name and email and I consent to Kitchen Emporium displaying my testimonial and name for promotional purposes.